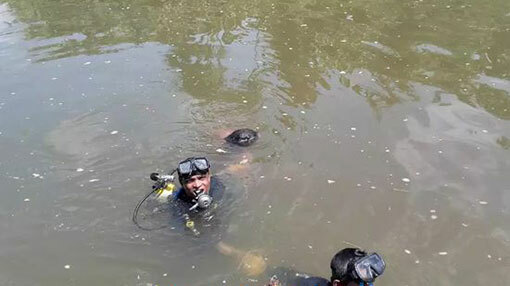 Sri Lanka Navy divers today recovered the body of 17-year-old teenager who had drowned while bathing in the Kelani River at Daigala, Avissawella. On receipt of information to the Naval Headquarters from Avissawella Police about a missing youth presumed to have drowned in the Kelani River yesterday (12), a diving team of 5 naval personnel attached to the Western Naval Command were promptly dispatched to the location, the navy said. After a strenuous effort the navy divers managed to find the body lying underwater and the remains were handed over to Avissawella Police for onward action.